The 2017-18 SBMRL season wrapped up recently and it certainly lived up to expectations. The season took shape even before the race with a number of changes to the competitors. 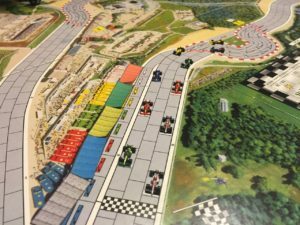 Regency Motors and Scandinavian Blitz were the only two teams returning, accompanied by newcomers Force Ravenswood and Sprite Racing. Furthermore, the reigning driver champion, Launch Bornado, had jumped from Regency Motors to Force Ravenswood. 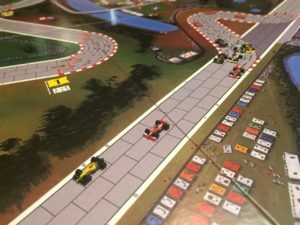 The league boasted two rookie teams and four rookie drivers, but Osito Racing Company had already proven that inexperience didn’t mean lack of success. The opening race in Portland saw the league open the season on one of five new tracks on the calendar. Force Ravenswood experienced some growing pains as Launch’s engine failed halfway into the first lap. Perennial favorite Jaap Snellrijder then proceeded to school the rest of the field for an easy victory. Behind him, Sheila Dinkum and Bubba McQueen proved that the rookies would be no pushovers. Meanwhile, two-time team champions Regency Motors took a dominating 1-2 to kick off their title defense. 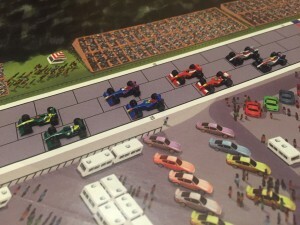 The second race of the season was held at Circuit of the Americas, one of two tracks that would see the SBMRL visit for a third straight season. After his DNF in Portland, Launch got the start on pole position, cemented a lead early in the race, and then managed to hold on the rest of the way. However, Force Ravenswood suffered a second straight DNF when Bubba’s suspension broke. Sheila, who was 2nd in Portland, came through the field to repeat that accomplishment in Austin. Jaap’s effort to win consecutive races were already not going well when his tires gave out late in the race. Perhaps the most dramatic race of the season came at Suzuka. 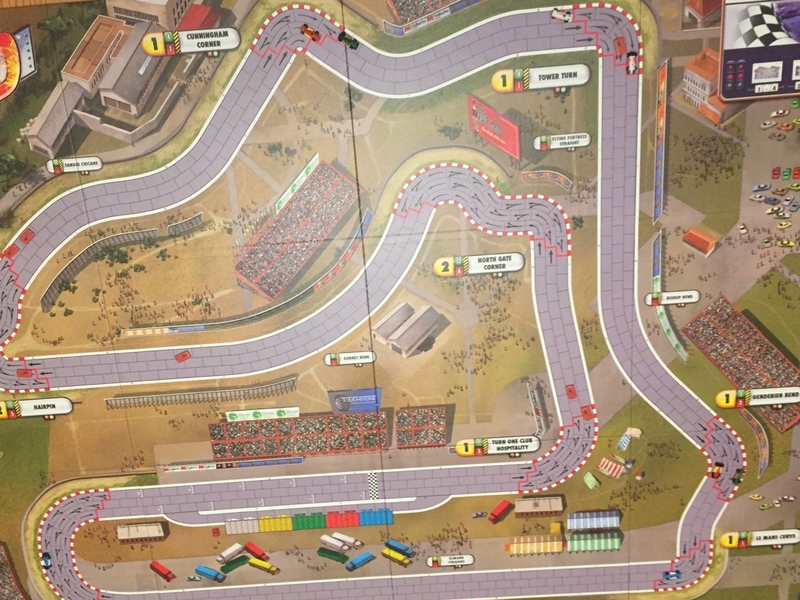 The Japanese circuit was expected to be difficult. What was less expected was that some drivers would simply get it right. In Suzuka, those drivers were Bubba and the Stig. While the two entertained from the front, the rest of the field stratified into groups of cars that had similar races. The Regency Motors pair of Jaap and Sheila were at the far tail end, with Captain Slow, Stevie, Whiplash, and Launch making up the middle pack. It didn’t appear that anything would upset the balance until the final corner of the race. The Stig, unsatisfied with 2nd place made a last minute push to pass Bubba. However, his engine gave out in the final corner. To make matters worse, Captain Slow, suffered the same fate just moments later, leaving Scandinavian Blitz reeling. 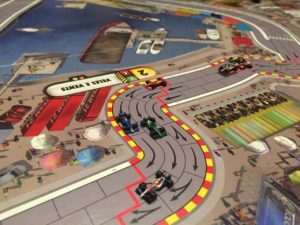 The difficult first third of the season left the Stig in last place in the driver standings and on pole for Monaco, a track that he had previously won from pole two seasons ago. However, just a year prior, Scandinavian Blitz had recorded a double DNF. 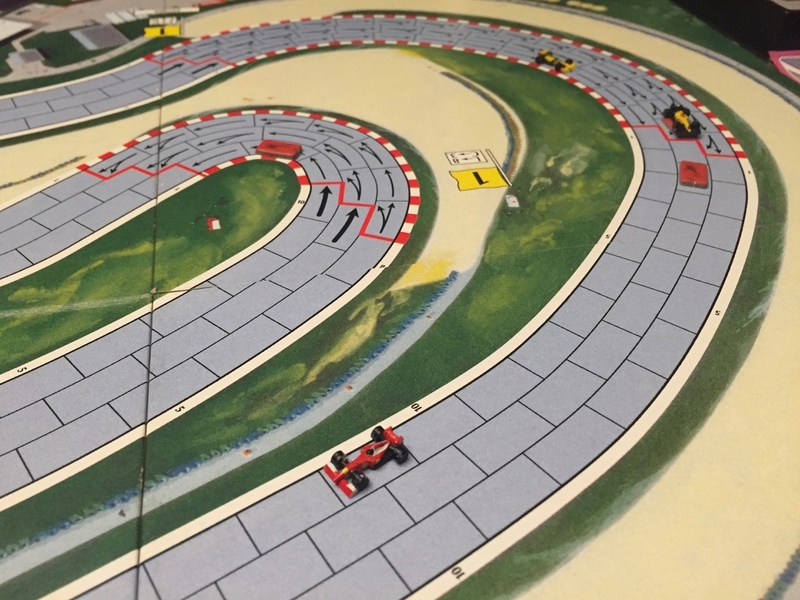 The two red cars occupied the front row and got off to a flying start as the pair battled for the race lead throughout the first lap. When Captain Slow headed into the pits and the Stig didn’t, the race was essentially sealed. The other story of the race was Sheila’s second lap charge. She was in last place to start the second lap, but fought all the way up to finish in second place. Bubba just barely edged out Captain Slow to complete the podium. 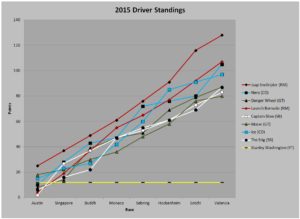 Despite victory in Monaco, the Stig was still only up to 6th place in the driver standings for Interlagos. Captain Slow’s chances of victory went down the drain with a stall at the start, allowing nearly the entire field to pass him, but it was pole starter Stevie who dominated the first lap. The Stig’s pit crew got him the lead at the start of the second lap and he never looked back for a second straight win. Whiplash finished second after opting not to pit, with Launch Bornado rounding out the rostrum. The Stig’s back-to-back wins vaulted him all the way to the top of the standings. In India, the Stig was once again on a charge early on. He was up from last to 3rd place by the middle of the first lap. Launch and Stevie battled it out for first lap supremacy while the rest of the field just tried to keep up. The second lap saw the Stig pass Launch in Turn 4, and that would be enough to stay in the lead for a record setting 3rd consecutive win. Force Ravenswood saw Launch and Bubba score a double podium, while Captain Slow became the first DNF since Suzuka. 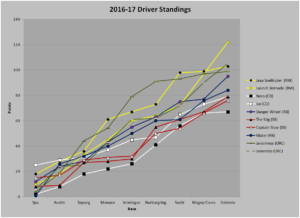 Heading into Melbourne, Launch, Bubba, and Sheila were all tied for second place in the driver standings. Jaap and the Stig got off to flying starts but the first lap was extremely competitive. Bubba and Stevie both held leads, with only two drivers not running in the top two. Jaap fell as far back as 7th in the second lap, but put on a clinic over the final half to take a narrow victory. Stevie made a less dramatic but similar late run to take 2nd, while Launch took a 3rd straight podium. Launch’s consistency on the year left meant just a 10 point gap to the Stig. Certainly surmountable over two races. In fact, the top 6 in the league all were within shouting distance. 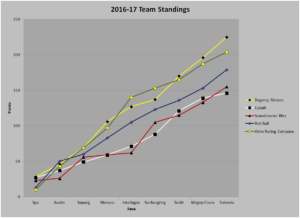 The team standings had Regency Motors just a single point ahead of Force Ravenswood. The penultimate race of the season was in Shanghai, where most drivers struggled to get to grips with the odd characteristics of the circuit. Whiplash ended up taking a lead early on, and despite having to wrestle with what was one of the more difficult tracks on the calendar, he stayed in front of his challengers the rest of the way. Captain Slow, Jaap, and the Stig were the ones who put up the biggest effort to spoil his day. Jaap’s second lap was quite possibly his worst stretch of driving ever, but Captain Slow and the Stig took home a double podium for Scandinavian Blitz. The Stig’s third place in China left him largely in control of his fate in Barcelona. 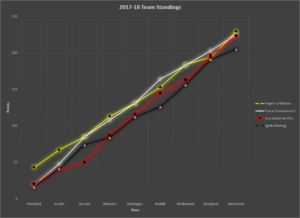 However, all four teams entered the race within 12 points of each other. It was truly anyone’s for the taking. Five different drivers held a lead, but it was also the case that every driver except Jaap spent time in 7th and 8th place. Not unrelated, it was Jaap who took control of the race in the second lap and took home victory. Behind him, Launch, the Stig, and Captain Slow battled for 2nd, with the three finishing in that order. 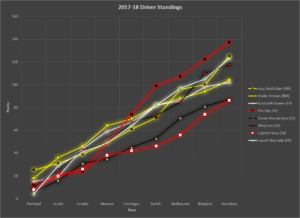 After three seasons in the league, we’ve now got three different drivers champions. The Stig became the first to represent a team other than Regency Motors and he did it in fine fashion. His 3 straight wins were utterly dominant and came on the heels of his elimination in Japan, which was likely the lowest moment of the season for any team. On top of that, it left him at the bottom of the driver standings. Jaap, who finished second, also collected three wins on the year, but he also struggled mightily at times. He was as low as 6th with just three races to go. Launch continued to collect podiums, but only won once, and finished 3rd. 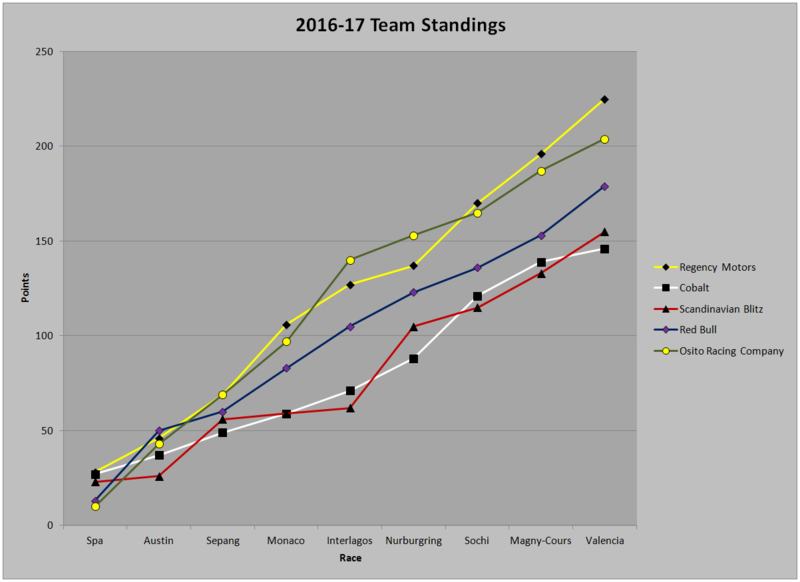 Unlike previous seasons where the team standings diverged into contenders and non-contenders, this year the team standings converged. Just a handful of points separated all four teams heading into the final race in Barcelona, resulting in the closest finish we’ve ever seen. Scandinavian Blitz couldn’t pull off the team title after Captain Slow finished in last place. Instead, Regency Motors took that honor in a very close race. Force Ravenswood was the runner up, and put the 4 point deficit squarely on the feet of Bubba, who only needed a 6th place finish in Shanghai to make up that deficit. Instead, he was last. Scandinavian Blitz was a further 2 points back. All three of the Stig’s victories came on tracks where he had previously raced. 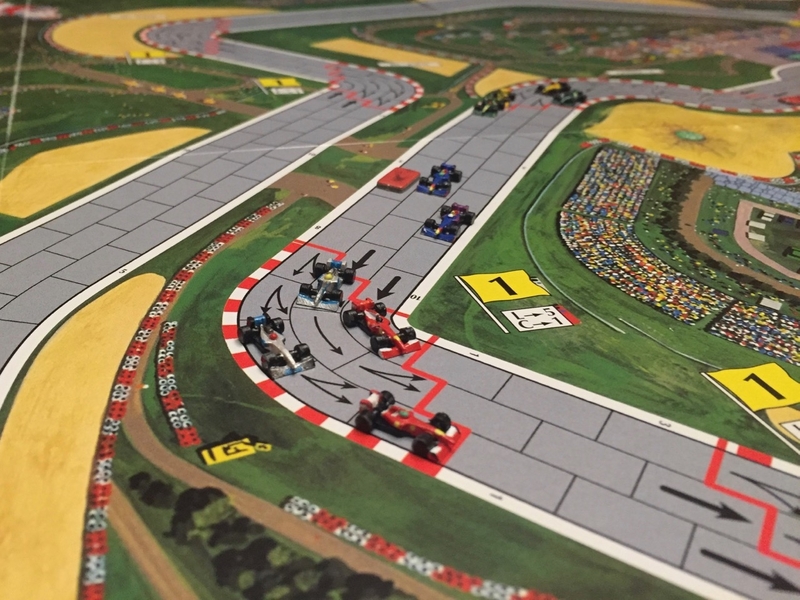 All three of Jaap’s victories came on tracks new to the league. 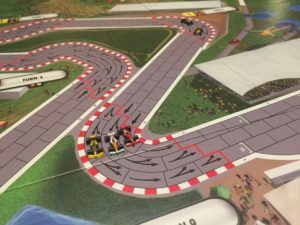 The Stig’s second lap in Brazil was the fastest lap the SBMRL has seen, taking only 11 turns to complete. Bubba’s first lap around Suzuka was the fastest first lap we’ve seen, with the Japanese race being the shortest overall. Despite 3 podiums, Sheila was the only driver never to lead a race. The only driver to spend more time leading a race than Captain Slow was the Stig. The Stig accounted for 61.43% of Scandinavian Blitz’s points this year. 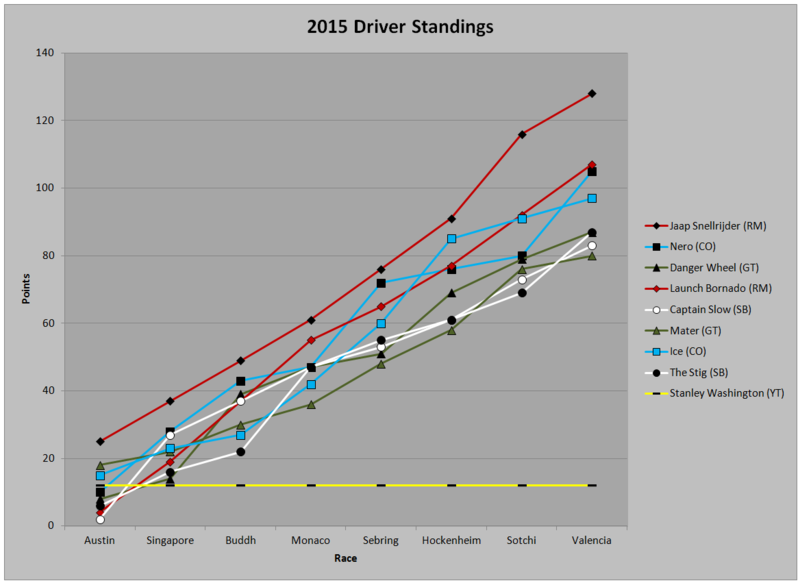 This after their driver’s had the smallest percentage difference last year, at 50.97%. 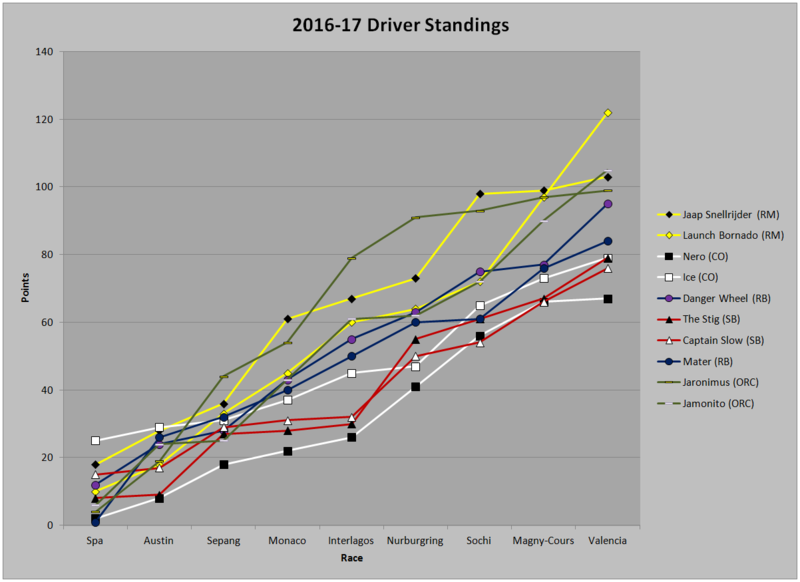 This year’s Sprite Racing was at 57.56%, which is the only other time a team has had over 55% from one driver. The second season of the SBMRL promised a whole new series of challenges and thrills. 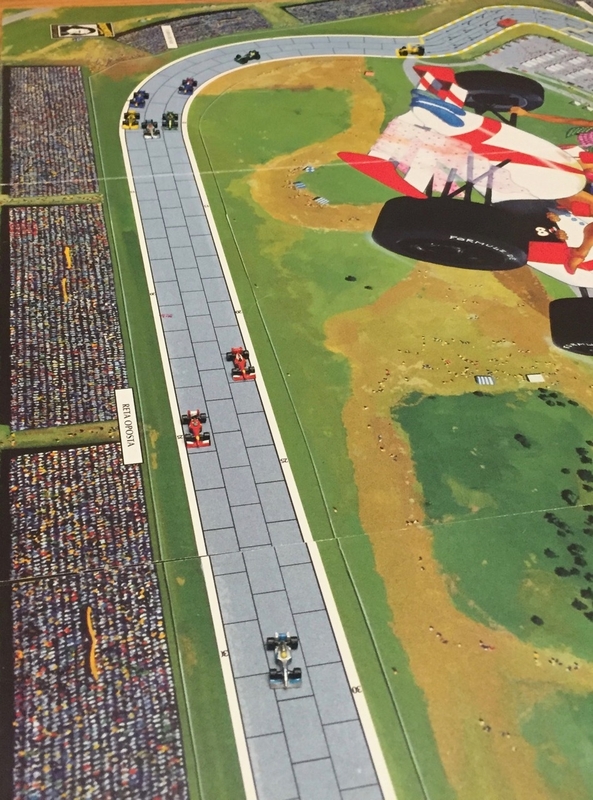 New tracks and a field expanded to 5 teams meant a dip into the unknown and uncharted. There were ups, downs, spectacular crashes, runaway victors, and otherwise all sorts of mayhem. 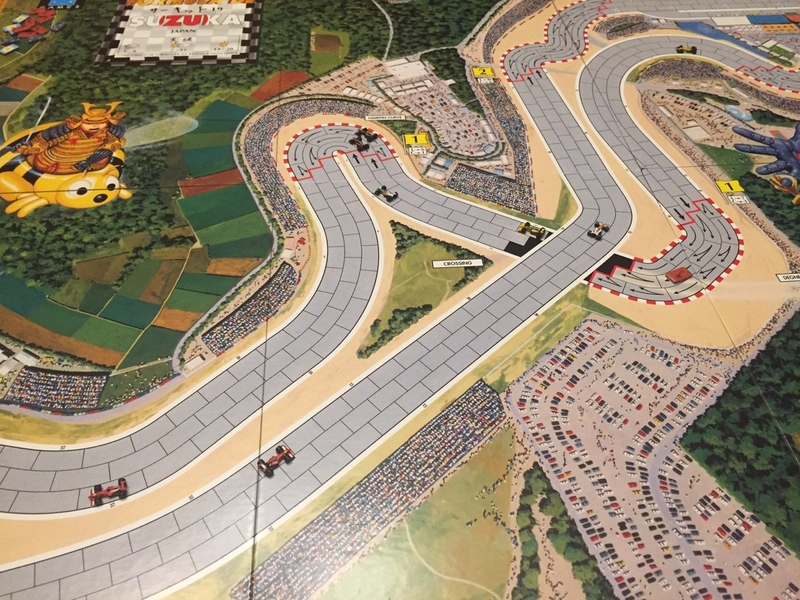 The season opened in Belgium on the famed circuit of Spa-Francorchamps. Team liveries were all new for the season, and all eyes were on the green cars of newcomers Osito Racing Company (last year’s Green Team had been rebranded as Red Bull). Osito appeared overmatched as their cars either crashed or finished last among those who completed the race, leaving the team in last place. 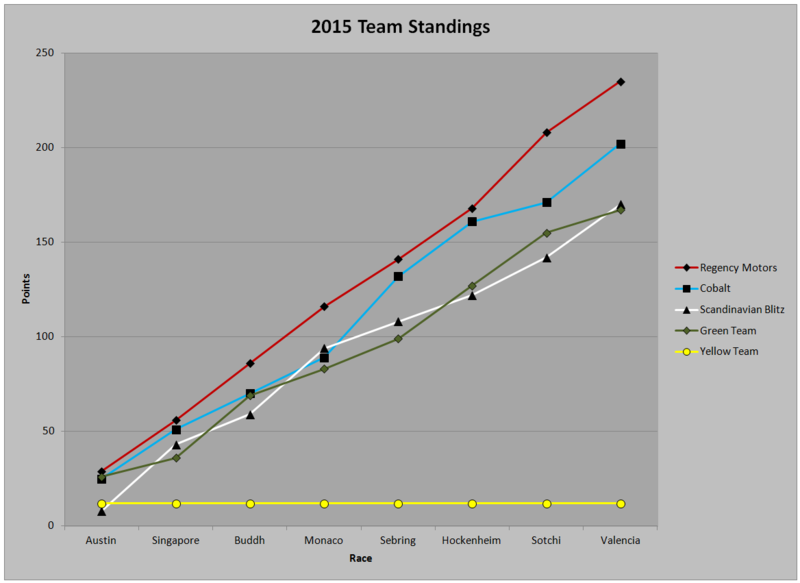 Ice and Jaap carried over strong trends from last year with a 1st and 2nd place finish, respectively. Mater crashing while in the lead at the start of the second lap was perhaps the most notable moment of the race. A trip to Austin gave Mater the redemption he sought. He started on pole and led most of the race, never falling lower than 3rd. The other big story was the performance of Osito. The team learned their lessons in Belgium and come home with both podium spots behind Mater. Jamonito took 2nd and Jaronimus 3rd. Jaap’s 5th place finish was his lowest ever, but a sign of things to come for last year’s champion. The Malaysian circuit of Sepang was next up on the calendar and the second of five new tracks for the SBMRL. Sepang produced the most dominating performance the SBMRL has seen throughout the first two seasons, with Jaronimus jumping from 5th on the grid to leading the field by the end of the first sector. He would not be challenged again, and the real battle was for 2nd place. Jaap was all set to take that position, but spun out in the final corner. By the time he crossed the finish line, four cars had passed him, with The Stig leading the way. December was a return to the fame and glory of Monaco. Jaap wrestled his car into contention on the first lap, then battled Jamonito down to the wire to take the win. Jamonito was followed by Danger Wheel to round out the podium. 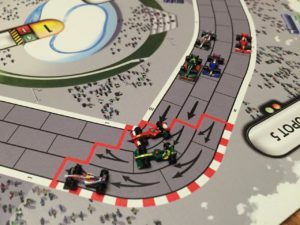 Aside from Jaap’s victory after starting 9th on the grid, the most notable incident from the race was a double DNF for Scandinavian Blitz, whose drivers both saw their race end in the 3rd sector of the second lap, just moments apart. 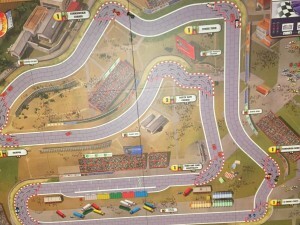 The next race was held at the high speed circuit of Interlagos in Brazil. 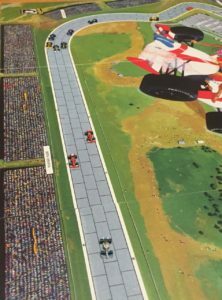 The race was highly anticipated due to the extremely long straights that would allow the cars to fully air out their engines. There were a lot of different strategies employed, and the end result was a highly dramatic race. An unprecedented seven different cars held the lead at some point during the contest, with Launch Bornado moving from 8th place all the way to first after a lap. However, it was a couple of cars who lapped in 7th and 9th place that took the top two podium spots. Jaronimus and Jamonito came all the way back from those lowly positions to give Osito their first 1-2 finish. The top four finishers all came from the bottom half of the grid, aided by the fact that the top three grid positions failed to complete the race. That meant second consecutive DNF’s for Nero and both Scandinavian Blitz drivers. 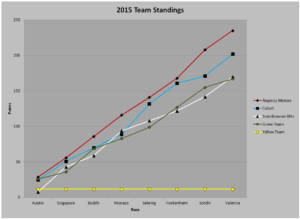 At this point in the year, with 5 of 9 races completed, the team standings were starting to take shape. Osito’s strong performance in Brazil allowed them to take the lead from Regency Motors, with Red Bull a ways behind and Cobalt and Scandinavian Blitz looking mediocre at best. On the driver front, Jaronimus’ victory gave him the edge over Jaap, whose strong showing at Spa and Monaco were enough to keep him in second. Behind them their teammates battled for 3rd place with both Red Bull drivers in the hunt. 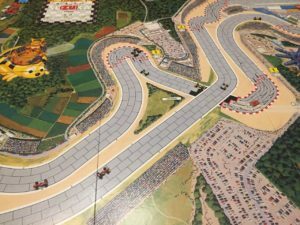 Round 6 of the 2016-17 season saw the league return to Germany, but instead of racing Hockenheim, as we had a year ago, this year the Nurburgring played host. In desperate need of points, the Stig, Captain Slow, and Nero dominated the affair. The trio finished in the order mentioned after all started in the top 3; no one really challenged them. In fact, Ice was was the only other driver to even run in the top 3, although he fell to 9th at the flag. Aside from Jaronimus, who climbed from 10th to 4th, the rest of the field finished close to where they started. The SBMRL field headed east from Germany to Sochi, Russia, for our March race. 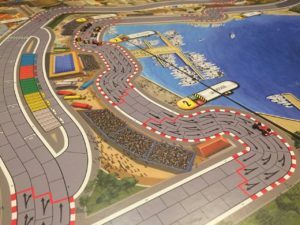 There is clearly something about the circuit in Sochi that just seems to click for Jaap, as he won there last season and won again this year. This time he started in 9th place and was at the front of the pack by the end of the first lap. The only point at which he even lost track position was briefly near the start of the race. The Cobalt team, who had struggled most of the year after a superb inaugural season, finished in 2nd and 3rd place, with Ice edging out Nero. Danger Wheel had the other large gain, finishing 4th after starting in 7th. Captain Slow and the Stig struggled despite starting on the second row. 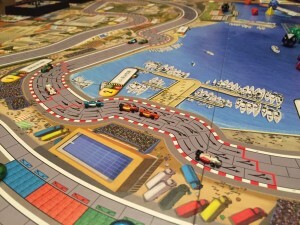 Jaronimus’ struggles allowed Jaap to erase an 18 point driver’s championship deficit. 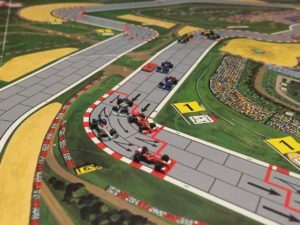 Like Interlagos, the French Grand Prix at Magny-Cours promised high speeds down some exceedingly long straights. 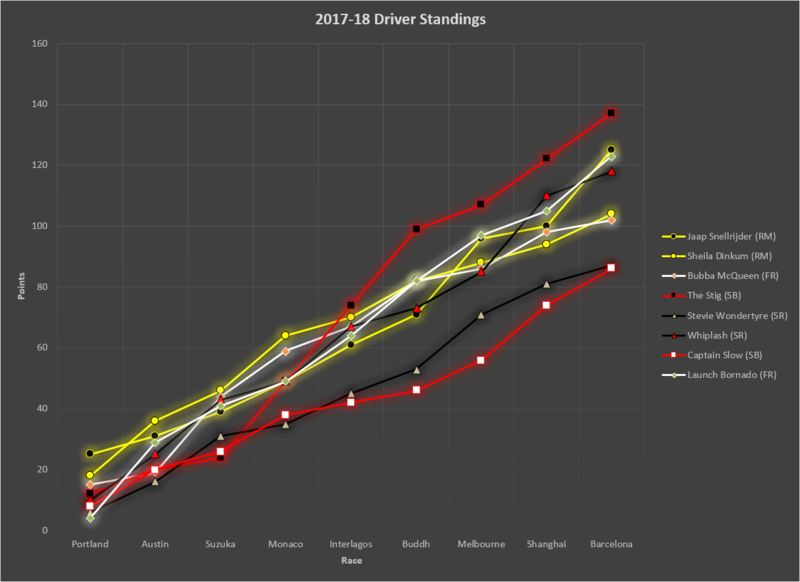 With just two races to go and a large gap between Jaap and Jaronimus and the rest of the field, the driver’s championship looked like it would come down to those two. France had other ideas. Launch Bornado, who was the only driver from the inaugural season yet to win a race, eked out a narrow victory over Jamonito and Mater. Jaap suffered the first DNF of his career to wind up in last place, while Jaronimus could only muster 8th. Jaap had been as high as 2nd and Mater’s charge came all the way from 10th after a lap. That left the final race as a decider between the four cars of Regency Motors and Osito Racing Company. Only 9 points separated 1st to 4th, with Launch and Jaronimus just 2 back of Jaap. As with a year ago, the season ending race would be held in Valencia, Spain, where we had seen an incredibly close race the previous time out. This time, however, things would be different. After some extremely tight racing early on, Nero found himself out of the race. Jaronimus would follow a short while later. The field began to spread out and the beneficiary of all of this proved to be Launch, who would become the first driver to win back-to-back races. Danger Wheel turned in a superb run to finish in 2nd place, his best result of the year. Jamonito also performed well, rising from 7th at the start to 3rd at the checkered flag. Jaronimus wasn’t the only contender to watch the end of the race from the pits, as Jaap crashed out on the second lap. The driver’s championship looked like a two horse race heading into the final two races, but Launch and Jamonito not only had other ideas they completely flipped the script. Launch was one of just two drivers to complete every race, finishing lower than 6th just once and having a dream end to the season with consecutive wins, becoming the 2016-17 drivers champion. 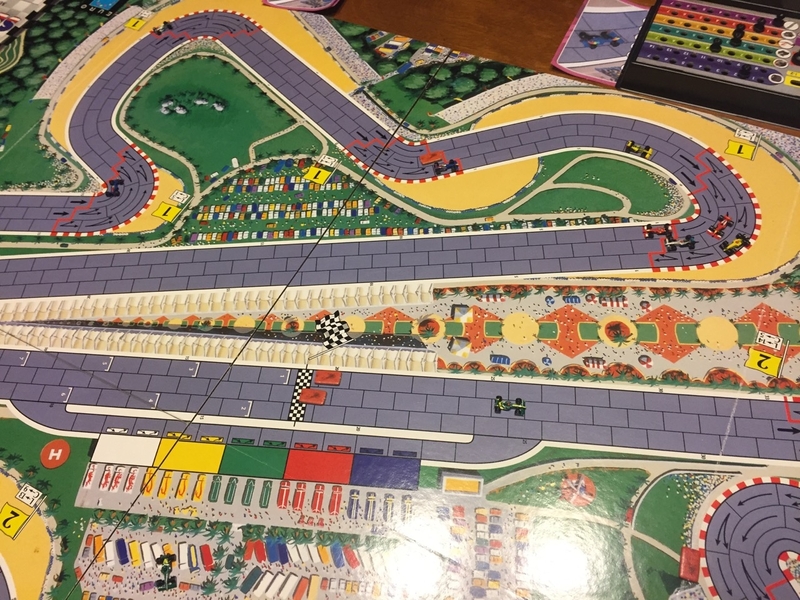 Jamonito was overshadowed in the discussion of Osito Racing Company for most of the season, but consecutive podium finishes and four 2nd place finishes overall fittingly gave him 2nd place in the championship. He lead the league with 5 podiums on the year. Third place came down to the end of season mishaps favoring Jaap over Jaronimus, with both drivers winning twice on the year. Danger Wheel’s run at 3rd place in the standings was derailed with a poor showing in France, but he finished comfortably in 5th place. Mater followed in 6th. 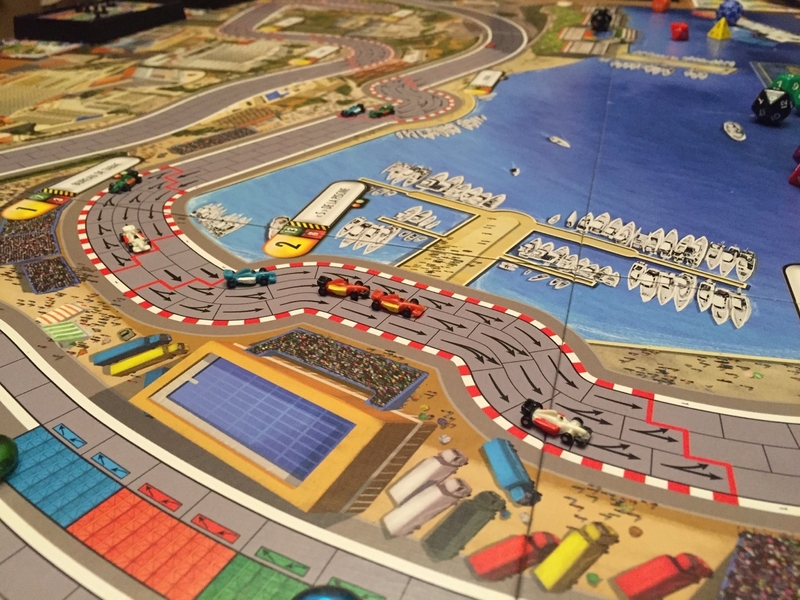 At the tail end of the standings, Nero’s early exit in Valencia doomed him to finish last. Ice and the Stig actually tied for 7th, leaving Captain Slow alone in 9th place. 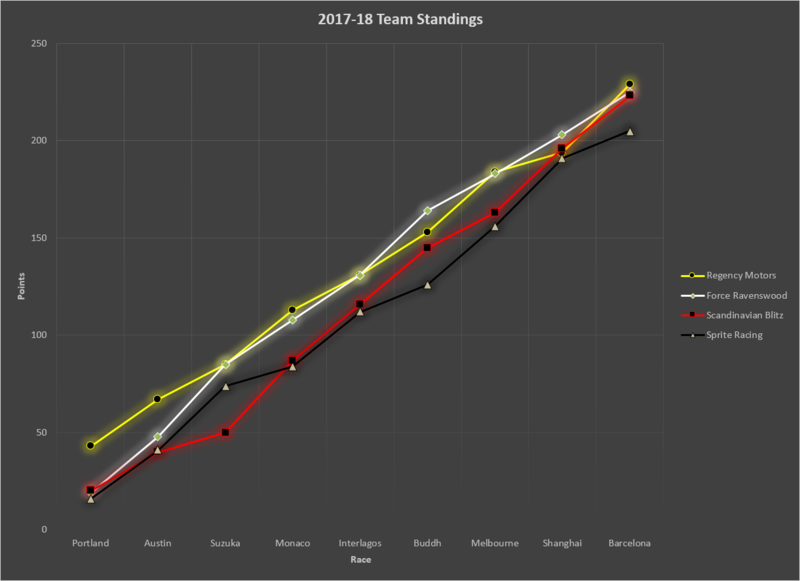 From a team stand point, there was a tight battle for 1st and a tight battle for 4th, leaving Red Bull to meander along in 3rd place for most of the year. 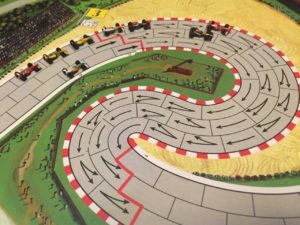 Osito Racing Company certainly acquitted themselves well after a difficult first race, but it was Regency Motors who took home the title in the end. Scandinavian Blitz was able to get past Cobalt, who struggled from ownership problems for most of the year after a superb season a year ago. Magny-Cours saw the first and only race in which 5 different teams took the top 5 positions in the race. Danger Wheel is the only driver to have finished every race he started in, including all of last year. The season ending race in Valencia was the first time 4 cars failed to complete a race. Jaronimus’ 1st-5th-1st run at Malaysia/Monaco/Interlagos was the highest scoring 3-race stretch of the year, worth 60 of his 99 total points. Jaronimus’ 9th-8th-9th run in the final three races was the lowest scoring 3-race stretch of the year, worth just 8 points total.